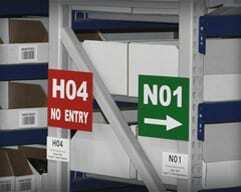 The most well recognized warehouse identification products are aisle signs. 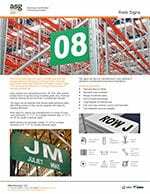 These hold a very simple function, yet over the year’s customer requirements have changed and so too have ASG Services production and design capabilities to help meet the demands for custom made warehouse signs. 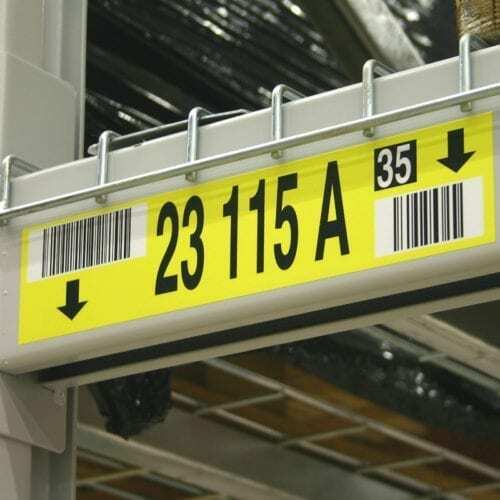 Simple flat panel boards are typically used to create aisle markers. 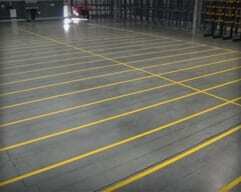 However with the need for space utilization, rack ends are closer to walls and other aisles making them less visible. 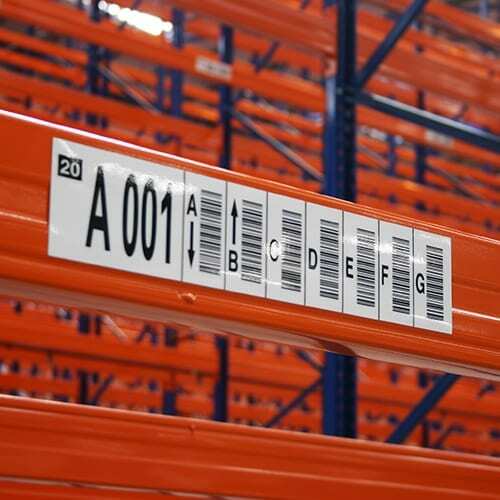 As such, we produce rack and shelf markers which can be seen in three directions thanks to plastic forming and careful design. 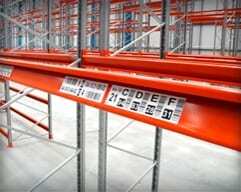 Signs which are attached to the racking higher than normal can protrude without being damaged by forklift trucks. Content is always variable, however thanks to specialist software, ASG Services are able to create rack signs with multi field variable content, as well as images and shapes. Our products are available in a huge range of colors for specific requirement. 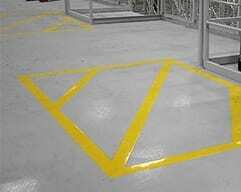 The Layouts can also be combined with safety and directional placards making them a more versatile product which also helps reduce installation time. 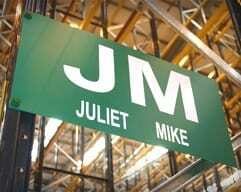 Materials used to create aisle marker signs vary based on the design required and budget. All are long lasting, however the more complex the sign becomes, the less flexibility we are in material choices, which directly affect prices. 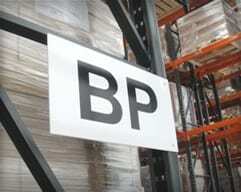 Internal and external warehouse aisle signs are produced with different materials. We utilize the latest in UV resistant materials for external signs, to help prevent color fade and material stability through weather and temperature damage. 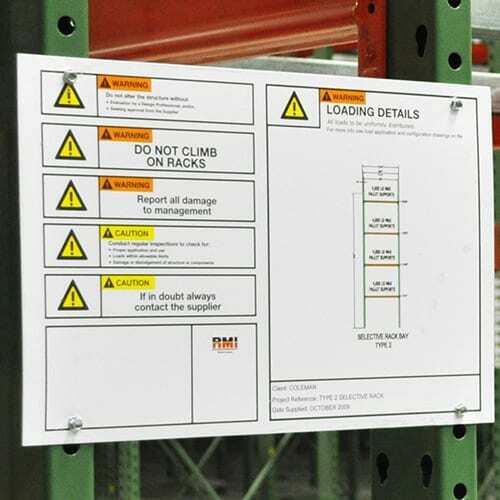 Warehouse signs are typically part of a wider warehouse identification system, as such we are often asked to install the markers along with the rack and shelf labels. 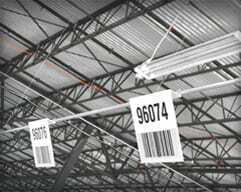 Our fully trained and insured teams work throughout the US and beyond, applying warehouse signs and labels for some of the world’s biggest facilities, as well as local and regional based warehouses and distribution centers. We work closely with customers to ensure a successful and complete aisle sign installation every time. 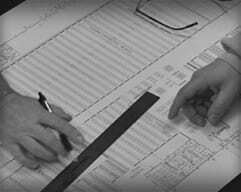 Feel free to call with your questions, we are happy to help and may provide some ideas you have not considered yet. Send an email with questions and supporting detail if you have it and we'll make sure the right person responds with the best information we can. We have made the most common sizes available for you to buy online today, so if you don't need them in a specific size, this could be the quick option for you.